TURNING sweet 16, the Porsche Cayenne has all the hallmarks of an adolescent. While from the outside it offers the sugar and spice expected of a family hauler, within the confines lurks an evil persona. 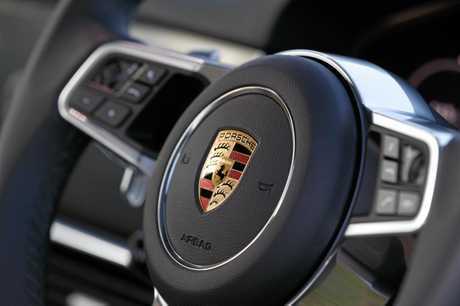 Flashy hard-covered brochures with thick spines tell us the Cayenne epitomises the ethos of "sportscar together”. That translates to a fast car for five. What the marketing doesn't reveal is the importance of this model. 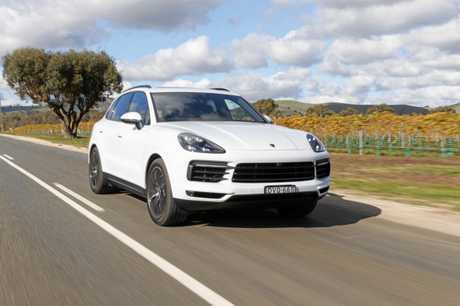 Combined with its smaller Macan sibling, the SUV pairing accounted for 75 per cent of Porsche sales this year. That success has helped Porsche keep building the cars which made the brand famous - offerings like the 911 on which the marque says has a strong lineage to the Cayenne. The genes may be there, but they are distinctly different beasts. The third generation Cayenne has just arrived and while maintaining similar proportions it's actually new from the wheels up. Worldwide sales prove it's an unbroken formula. With a price tag of $155,100 plus on-roads, the Cayenne S proves a paradox. There is no doubting its outstanding credentials, but there are some intriguing absences. Too often nowadays car companies have opted for button minimisation to meet modern trends. Porsche has one of the best blends of functionality and tech-savviness. The crisp high definition 12-inch touchscreen sites central on the dash, while system shortcuts and four-zone climate control toggles are located around the shifter. Button positioning takes some initial analysis, yet once mastered it's simple to navigate. Within the primary binnacle is a large tachometer with a digital speedo, and within the instruments are two configurable sections which can offer varying trip, satnav and car information via a small wheel under the driver's thumb-tips. 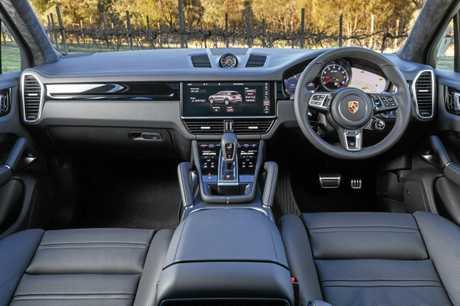 Other standard gear are LED headlights, 19-inch alloy wheels, Apple CarPlay, an electric damping system which can firm or soften the ride and leather trimmed seats. Taking the asking price of our test car to $166,410 was the Sport Chrono Package with Mode Switch ($2690) which ramps up the performance ability to maximum power for 20 seconds, keyless entry ($2490), soft closing doors ($1790), tinted LED tail lights ($1530), roof rails in black aluminium ($1390), exterior package in high-gloss black ($770) and the speed sensitive power steering system ($650). There's no wireless phone charging, while Android Auto is not available. Those wanting a better stereo system can go for the high-end Burmester unit ($12,900) or Bose ($4360). The third generation Porsche Cayenne S.
Ridiculously quick, the Cayenne is insanely capable. Within the skin is a V6 which has reduced capacity from 3.0 to 2.9 litres compared to its predecessor. But there's more from less. Extra power from the force-fed V6 means it can reach 100km/h from standstill in just over five seconds - that figure drops to 4.9 if you use the performance start function. While the numbers and performance are engaging, the feats are achieved with little fanfare. Tearing up the bitumen is undertaken with surgeon-like precision ... without theatre or sensationalism. It almost yawns at tasks asked of specialist sports cars as it defies the high-riding position. 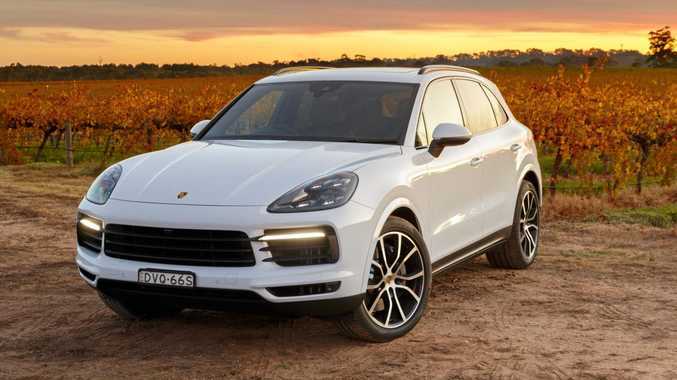 Through some testing hilly terrain, the Cayenne surpassed speeds achieved by some of the best cars on the market while scarcely raising a sweat. With bigger brakes than its predecessor, the anchors bite with precision. Each Cayenne variant comes with 10 airbags, head-up display and blind spot warning. 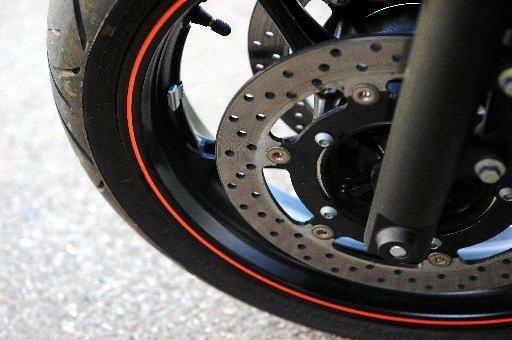 Other standard kit includes a partial autonomous emergency braking system that doesn't bring the car to a complete halt if a possible frontal collision is detected but warns of danger. Radar cruise control ($3790) is required for the full automated system. Lane-keeping assistance is another $1390 option. With a growing family this is the closest thing I'll get to a 911, and it has a more cohesive design than the Panamera plus it's a whole lot cheaper. Much of the optional safety gear really should be standard at this price, but I haven't bought a Porsche to be chauffeured around by technical gizmos. Got a big brood? 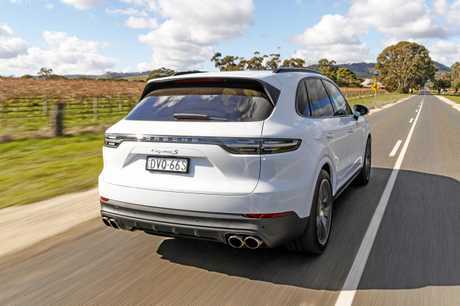 This beastly seven-seater has 320kW and a monstrous 900Nm from a 4.0-litre twin-turbo diesel V8 that rips from standstill to 100km/h in 4.9 seconds - the same as the Cayenne S when using the performance start function. It's a hot rod for the netball team. With a 3.0-litre V6 twin-turbo generating 321kW/580Nm, the Italian stallion's SUV manages the 100km/h sprint in just over five seconds. Breathtaking exhaust soundtrack with impressive driving dynamics. Slightly less expensive option, motivated via a bi-turbo 3.0-litre six-cylinder with 287/520Nm. The swoopy coupe-style rear is not to everyone's tastes, but it's a slick mover and can do the sprint in 5.7 seconds. Which is the better tough off-roader?